The United Kingdom is the third largest economy in Europe. The majority of the UK’s Gross domestic product (GDP) comes from banking, insurance, and business services. After the 1992 recession, Britain’s economy enjoyed the longest period of expansion on record during which time growth outpaced most of Western Europe. Despite the global financial crisis in 2008, the UK remains to be one of the leading economies in Europe with an intensive agricultural sector that produces 60% of the food needs. Our head office is based in the city of London at 15 Old Bailey, EC4M 1QB. We also have offices in East London, North London and Manchester, enabling us to provide an extensive range of services throughout England and Wales. North London is the home to Alexandra Palace which is famously regarded as “The People’s Palace”. Alexandra Palace has the best panoramic views of London and it is surrounded by 196 acres of beautiful parkland and greenery. 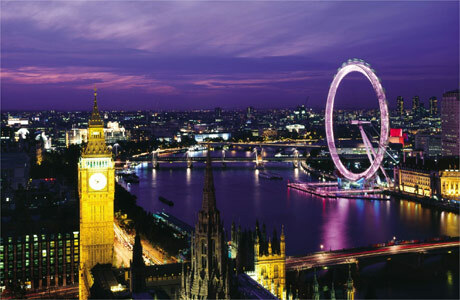 London is the only city in the UK to have ever hosted the Olympic Games. The 2012 Olympics has made London the first city to have hosted the modern games three times. East London has undergone major regeneration in light of the Olympics, bringing many benefits such as transport improvements as well as increase in tourism, housing, infrastructure and jobs. Westfield Stratford City was a product of the regeneration and it is now one of the largest shopping centres in Europe. London’s most celebrated Asian shopping destination, Green Street, is located in the East London borough of Newham. Green Street is a world-renowned hub of Asian design and cuisine as well as consisting of unique stores and the famous Queen’s Market which originated from the Victorian era. London is one of the world’s leading financial centres and the international hub for English law expertise, and therefore a continued strong presence in London is pivotal to servicing international clients. Our London lawyers are international and local experts with rich, vast and diverse experience.